Our van is often out and about delivering canoes, kayaks and sit on tops throughout East Sussex and West Sussex. If you live in Worthing, Chichester, Littlehampton or anywhere else in West Sussex and you are looking to buy a canoe, kayak or sit on top kayak then please get in touch as we may be in your area. The aim of the club is to allow paddlers to meet up with likeminded people in a safe environment and to provide the people with the opportunity of development in whatever style of paddling they wish to do. Members have the opportunity to access high quality coaching and paddle in a relaxed social environment. We are able to provide sessions for beginners if you wish to come along a give it a try, all safety equipment can be provided for these sessions. They have a comprehensive programme of trips away, swimming pool sessions and events for members to access. 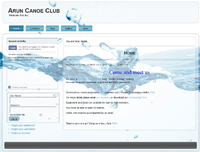 The Hunston Canoe Club is aimed at children and young people aged 8 - 14. They are based at Hunston jetty and meet on Thursdays at 4.30 from May to October during term time. Sessions are relaxed and friendly, skills are developed through games, activities, and simple journeys. They also run events, competitions, and swimming pool sessions. Arun Canoe Club meets every Sunday evening at Lancing College Pool. The club also organises & runs various trips throughout the year including day trips on the River Arun. Membership to the club includes free training & assessment by the clubs BCU qualified coaches. 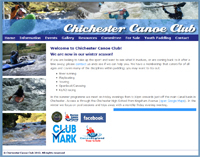 Whether you are an individual, a club canoeist or a family group, feel free to try out the Chichester Ship Canal. They offer day tickets and season tickets, giving access to 2 miles of canal throughout the year. The canal is ideal for novices and for basic training and also for some types of races. 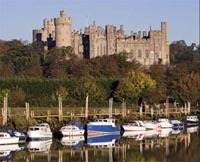 There are various sections of the River Arun that can make enjoyable paddling trips. The details of some of the more popular paddles can be found the Canoe Days Out website. The River Arun is a tidal river and at certain tide states the flow can be considerable. It is advisable to always consult a guide before paddling the River Arun if you are a novice or not familiar with the river.